GALA was featured in The Business Times, Arts section today! ‘Tis the season for dance. 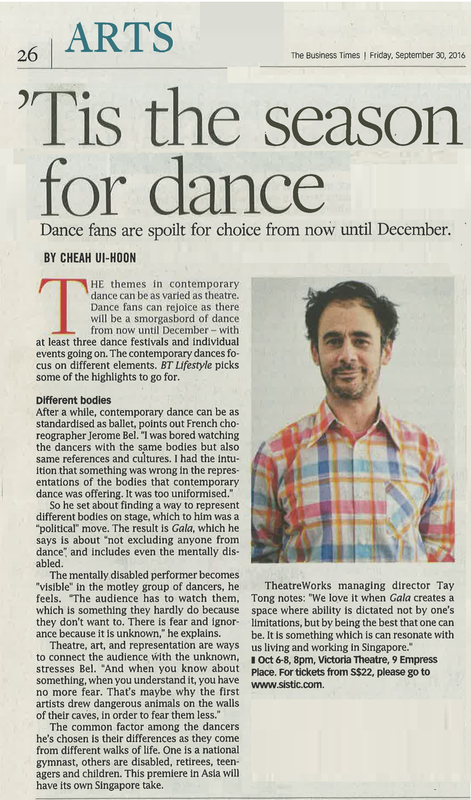 Highlighted as one of the five upcoming dance performances that dance fans will be able to enjoy from now to December. And hey, GALA is the first one, opening next week on 6 Oct at Victoria Theatre! Still on the fence? Watch our dance trailer to witness the beauty of GALA in action! Then head on to SISTIC to get your tickets now!